This professional, Minter-restored 1957 Thunderbird has 38 test miles since its completion and includes both original tops. 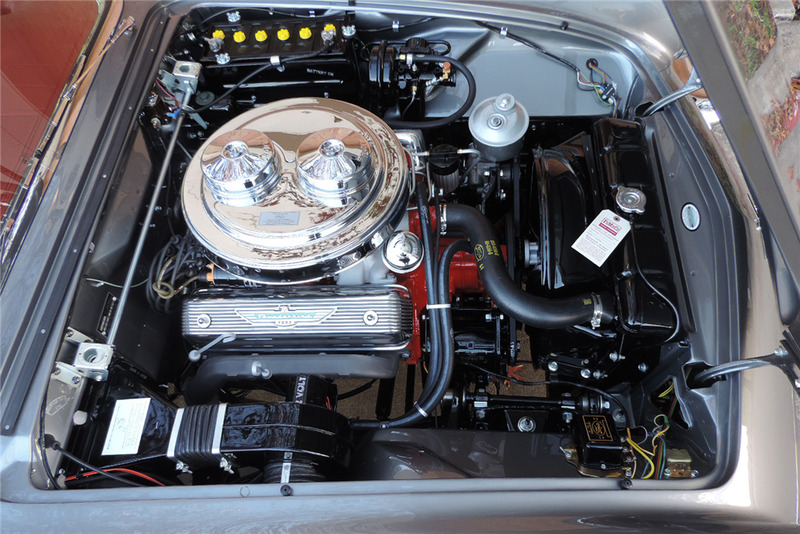 It’s powered by a 312ci 8-cylinder Thunderbird Special engine with Big G-ECZ heads and dealer-installed dual 4-barrel carburetors, backed by a Ford-O-Matic automatic transmission. It’s equipped with Master Guide power steering, Ford Swift Sure power brakes, electric windows, engine dress option, accessory backup lights and a Town & Country signal-seeking radio. 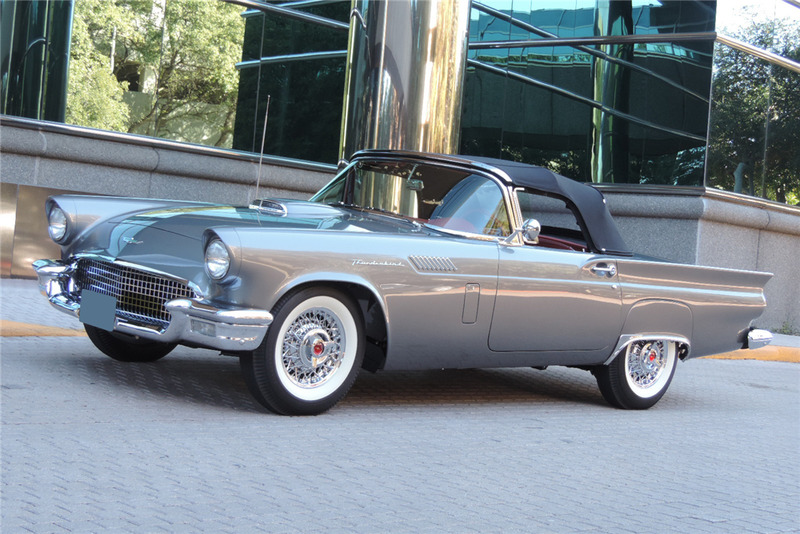 This T-Bird was restored to its Data Plate specifications and finished in its original shade of Gunmetal Gray with proper appointments. The restored XH concours-correct red interior also features proper embossments.